Home » Blogs » GJ_Admin's blog » Islamic Awakening For A Islamic Revolution! Islamic Awakening For A Islamic Revolution! 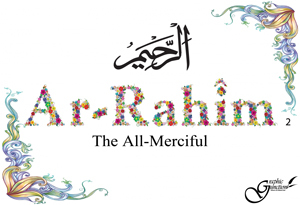 I hope you all have been using the 99 Names of Allah flower series to learn about Allah and his many attributes. This project has been in the works for me for well over three years now and the goal is not just memorizing the list of 99 Names, but to try to encompass the magnitude of the Almighty in a Graphic format - a medium we are all glued to. Iqra in Quran means - Read, and I guess once you read Quran, the Revolution will follow! For me, Islamic Awakening CAN NOT happen unless and until you know Allah! 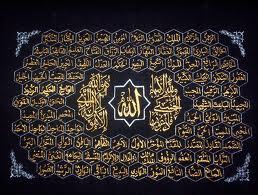 And the simplest test I can think of is this ...Do you now the 99 Names of Allah? 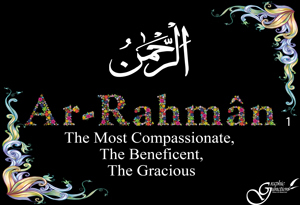 Just like you know... Ar-Rahman and Ar-Rahim? 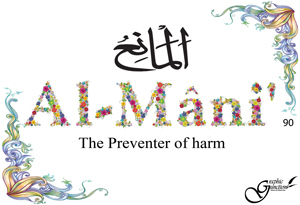 Now Does - Al-Mani bring out that same awe? A Non-Muslim can't imagine with all their drones and 2000 lbs bombs. 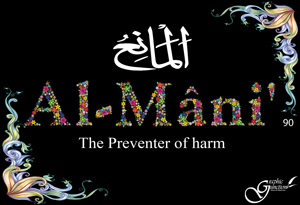 Now what does Al-Mani Mean To YOU? The 99 Names list we se all over the place, like this one on the left, the hangings that have such small text that you cant even read anything let alone understand its meaning. These to me have failed their purpose - to appreciate Allah, to glorify his attributes. That's why we have created this 99 Names of Allah Educational Series. 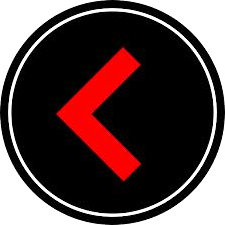 One Name - Per Image with Meaning. Print it >> Frame it! >> Hang it! << Gift It!